We liked it all ! 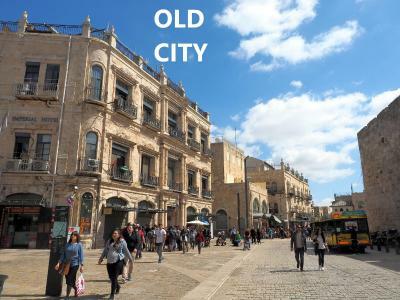 First of all, the location just next to Jaffa Gate can't be better. 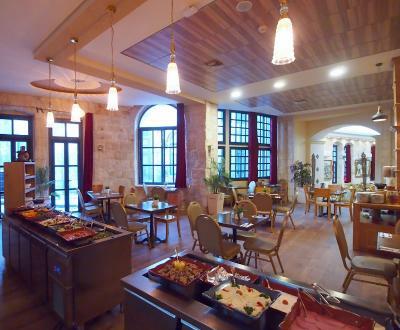 The hotel itself is a very intriguing place, with it's Greek Chatolic atmosphere. The staf is extremely nice and helpful. 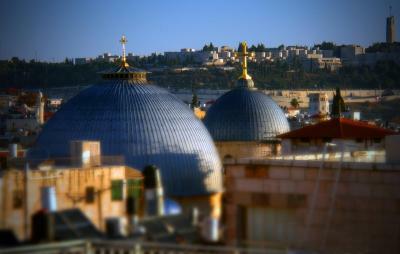 From our family room we had a fantastic view of Old City and Jaffa Gate. The beds and the bathroom was nice. The location is extraordinary. 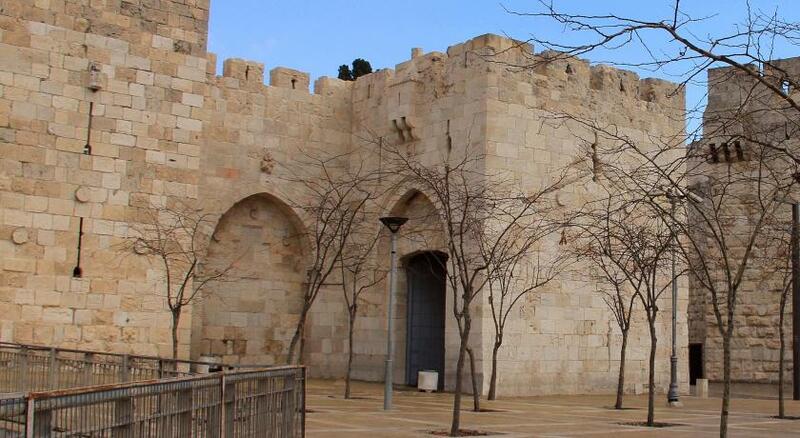 It's just inside the Jaffa Gate, and directly across from the Citadel and Tower of David. 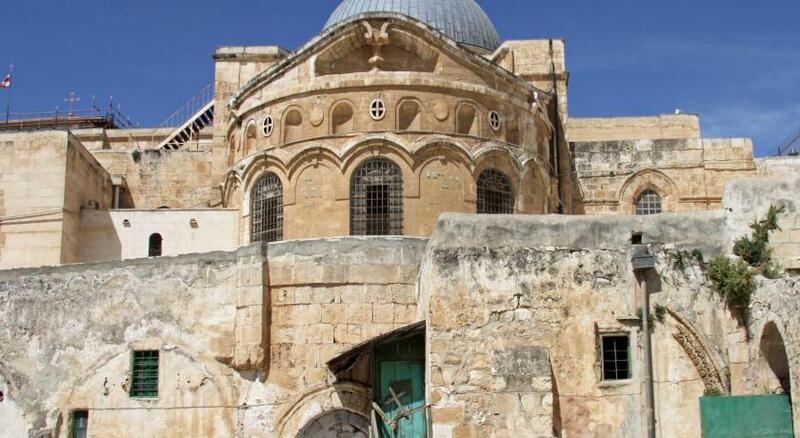 It provides the best and easiest access to all the Old City sights. The breakfast was ample and quite good. Location, Location, LOCATION! 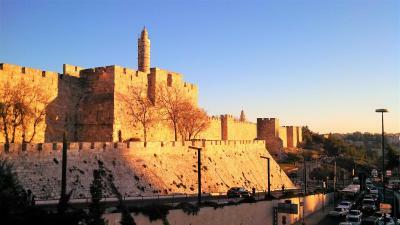 Just inside the old walls of Jerusalem and across the street from King David's Tower. Easy walking distance to everything! 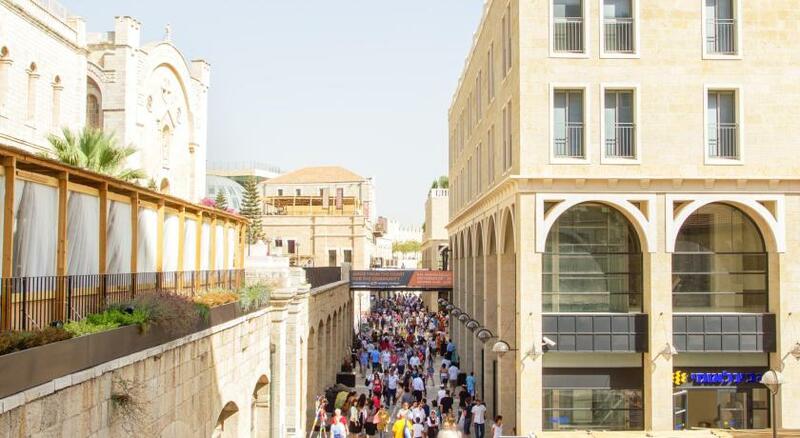 There is also very convenient paid parking just outside the Jaffa gate and is a EASY walk with roller luggage. this old hotel is definitely a grand old dame just a little past her prime. 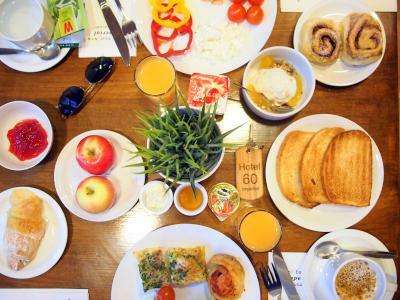 Eclectic decorations, clean rooms and a great breakfast. The location is amazing. THe property is interesting, and old Greek Orthodox Church. The family that runs the hotel was kind and helpful. Location excellent. Great breakfast and super helpful staff. They catch BEIN Sports Channel to watch the good soccee matches! The location was right at historical sites. Breakfast was great. The hotel has a unique appeal, very antique yet accommodating. We rated the comfort a little lower because the fitted sheet on the queen bed was a twin. Not big enough for 2 people. And the towels were rough. Not soft. The facilities were gorgeous. The layout, the decor, the feel. All amazing. The room was simple but clean. The rooftop was amazing place to sit except it was filthy. Trash piled up in the corner by the door and trash in the planters. But the space has so much potential. Great view and lots of seating. 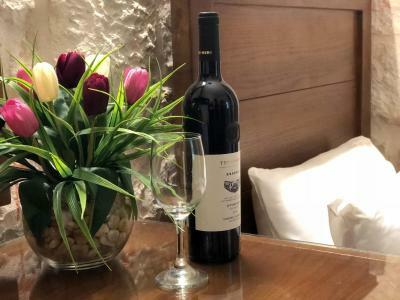 For staying within the walls of the Old City location is perfect! The staff were very accommodating. Breakfast was great also & it came with the room. 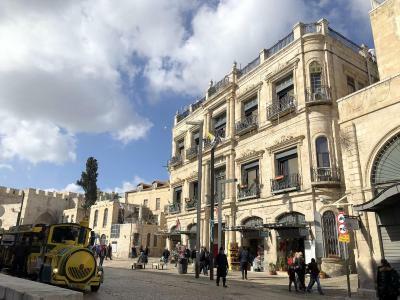 One of our top picks in Jerusalem.Located next to the Old City of Jerusalem, within walking distance to the shopping district of Souq, New Imperial Hotel is set in a historical 19th-century building, owned by the Greek Orthodox Church. 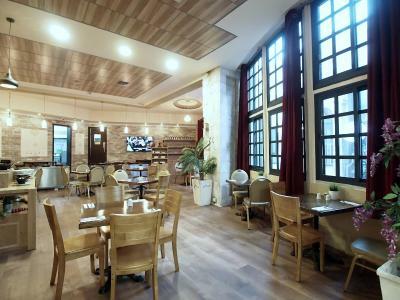 It offers air-conditioned rooms with a free WiFi access. All rooms come with a flat-satellite screen TV, some also feature a balcony. Complete with a refrigerator, the dining area also has an electric kettle. Private bathrooms also come with a bath or shower. 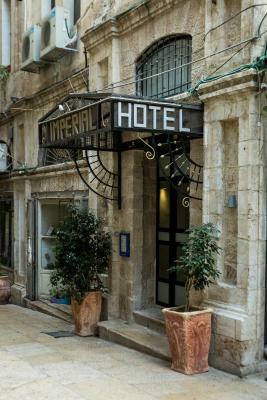 The New Imperial Hotel runs a 24-hour front desk and offers a terrace. Meeting facilities, a safety deposit box and luggage storage are also available. The internet lounge is open 24/7. The New Imperial offers a rich breakfast buffet, which is served in its non-kosher restaurant. 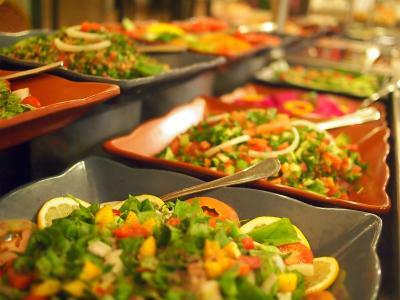 A grocery shop is located right next to the hotel, and several Mediterranean restaurants can be found in the vicinity. The Main Bus Station is 4.3 mi away and the Malha Train Station is 5.3 mi from the property. The town of Bethlehem is located at a distance of 5.6 mi. Ben Gurion Airport is 26 mi away. When would you like to stay at New Imperial Hotel? Featuring a private balcony, this air-conditioned room is set on 2 levels. It comes with a flat-screen satellite TV. The bathroom includes a shower. This air-conditioned room comes with a flat-screen satellite TV and a desk. This air-conditioned room comes with a flat-screen satellite TV and a desk. The bathroom includes a shower. 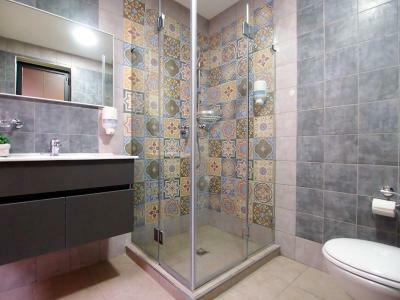 This air-conditioned room comes with a flat-screen satellite TV The bathroom includes a shower. This twin room features a electric kettle and air conditioning. It is located next to the reception and guests might experience some noise or disturbances. House Rules New Imperial Hotel takes special requests – add in the next step! New Imperial Hotel accepts these cards and reserves the right to temporarily hold an amount prior to arrival. Rooms are dirty. Breakfast is awful. The only thing good about this hotel is its location. The rest is terrible. Dirty rooms, terrible breakfast. Few things in our room was not well maintained or bad craftsmanship. Not a big issue, only cosmetic. You just wonder, why not make things look nice, when changing things. E.g. the casing around the bathroom door. Awesome staff, super helpful and considerate. Not only they let us check in early considering the freezing cold outside, also kindly suggested us how to go around the city and to Bethlehem with public transport. Would not be called a luxe hotel. Building dates from 19th century, and room sizes are reflective of the norms of that period. The room I was in had been fully modernized, which helped offset the limited size. However, with all the compelling Old City sights so close, who would be spending much time in a hotel room anyway? 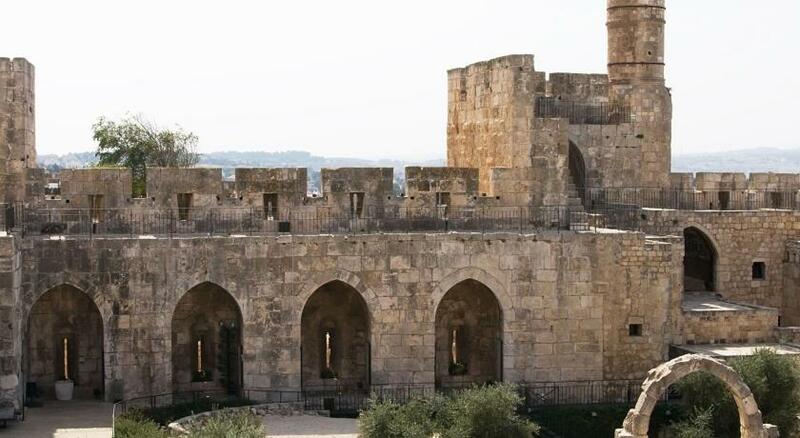 The hotel is far from modern but neither is Jeruselum! The shower flooded the bathroom but the hotelier did inform us this would be sorted. Great location and lovely hotel. Breakfast didn't seem quite as good this time. Rooftop in need of tidying up (because, in the past, we loved the rooftop!). Location, location, location. Atmosphere. Staff are always lovely and so helpful. There is no elevator so do not overpack. You could hire a porter if needed though. If you get a street side room you'll get to see alot but it may be noisy.